I decided to be very bold. I tried some really bold prints. 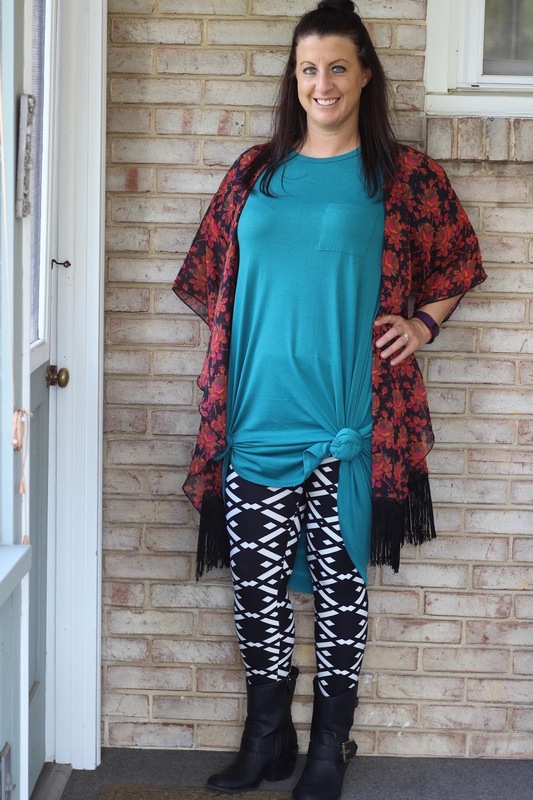 A rose Monroe Kimono with a double knotted teal Carly dress and some bold black and white print leggings. 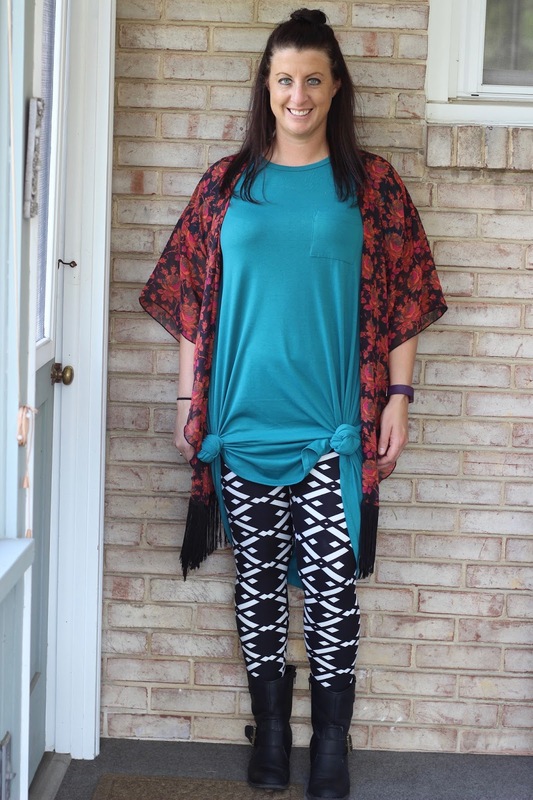 I love how it turned out and I am obsessed with this kimono. I love the tassles. Seriously is there any piece of LuLaRoe I don't like?